The aid organizations formed a league in order to pool their resources. Simon is quite a talented musician, but Angela is much better; she's in a completely different league. The soccer team Ben supports is currenty at the top of its league. The small country leagued with its neighbors to create a common market. 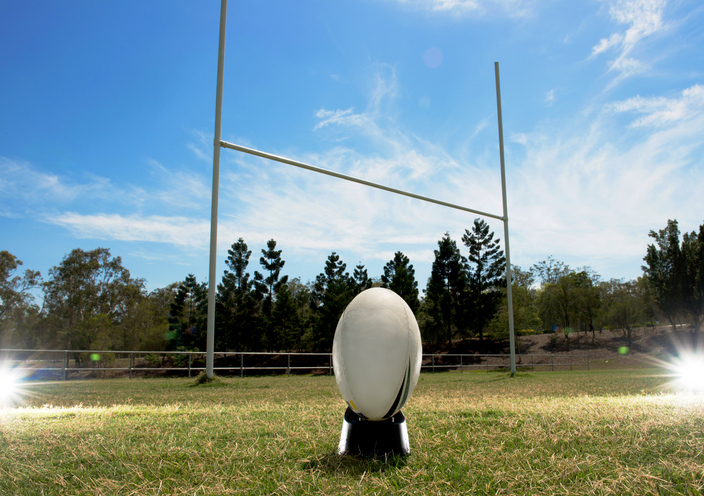 The game of rugby has two forms. The better known form of the sport, which is often just called rugby, is more fully known as rugby union, and the other form is called rugby league. Rugby union and rugby league have different rules. You can read more about the similarities and differences by clicking here. A league is also a unit of distance that varies according to the time period and country, but is usually estimated, in English-speaking countries, to be roughly three miles. Its use is mainly poetical and literary. You may well find it in stories and folklore, such as tales about seven-league boots, which you can read more about here. League, meaning ‘alliance,’ dates back to the mid-15th century, in the form of the late Middle English noun ligg. It came into English from the Middle French ligue (confederacy or league), who adopted it from the Italian liga, a variant of lega, from the verb legare (to tie or bind), which can be traced back to the Latin verb ligāre (to bind), and the Proto-Indo-European root leig- (to tie or bind). It is related to the Spanish liga and the Italian lega (league), the Albanian lidh (I bind), the Middle Low German lik (band), and the Middle High German geleich (joint or limb), as well as English words such as alloy, ally, ligament, ligature, oblige, rally and even religion. You may have noticed that the current spelling for the word is closer to the French than the original Middle English. That’s because the French spelling influenced and eventually replaced ligg, The sense was originally restricted to alliances between nations, but expanded to political associations in the mid-19th century, and to sports associations in the late 19th century. The verb, meaning ‘to form a league,’ comes from the noun, and dates back to the early 17th century. League, as a unit of measurement, is unrelated and actually a bit older. It dates back to the late 14th century, and came from the late Latin leuga, which in turn, according to Roman writers, came into Latin from Gaulish. It is related to the French lieue, the Spanish legua and the Italian lega (all meaning ‘league’).